Good study habits are useful to have. 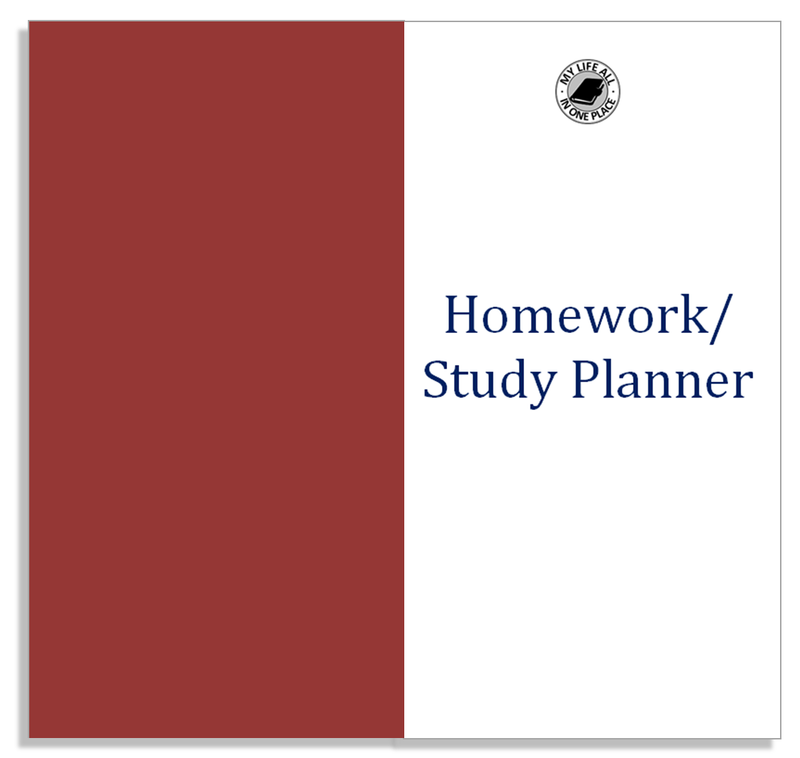 This booklet - whether inserted in your Midori Traveler's Notebook or carried standalone - will help you cultivate the habits and stay on top of your studies. 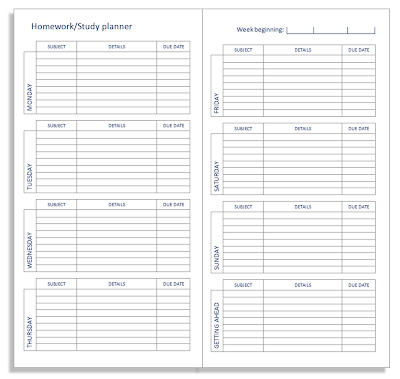 Each two-page spread allows you to detail your study or homework plans for a whole week. A booklet covers 23 weeks. You can download this insert here. 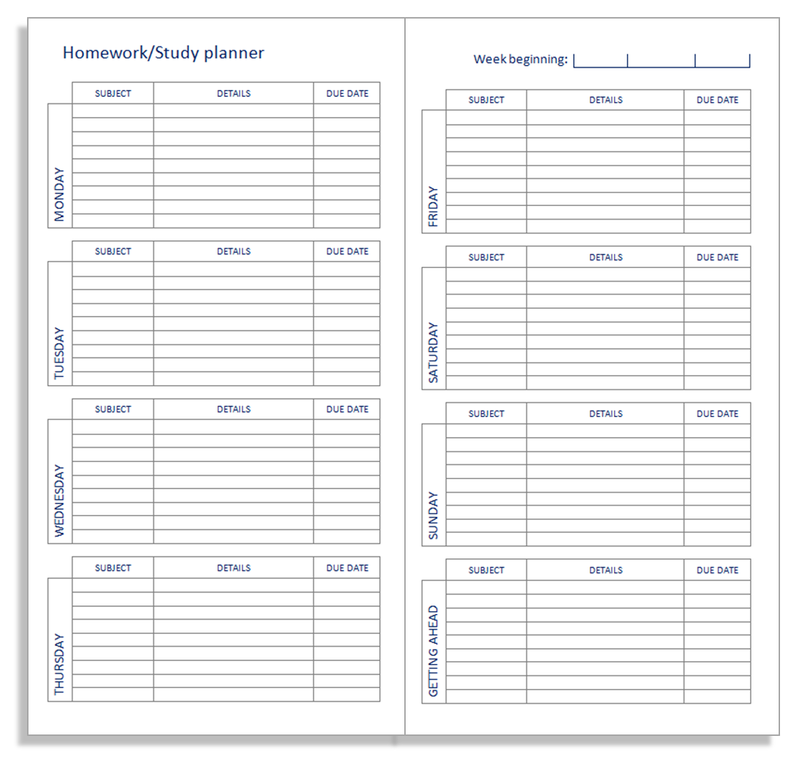 Once you've printed out the pages, you can bind them into a booklet and cut to size using these instructions.